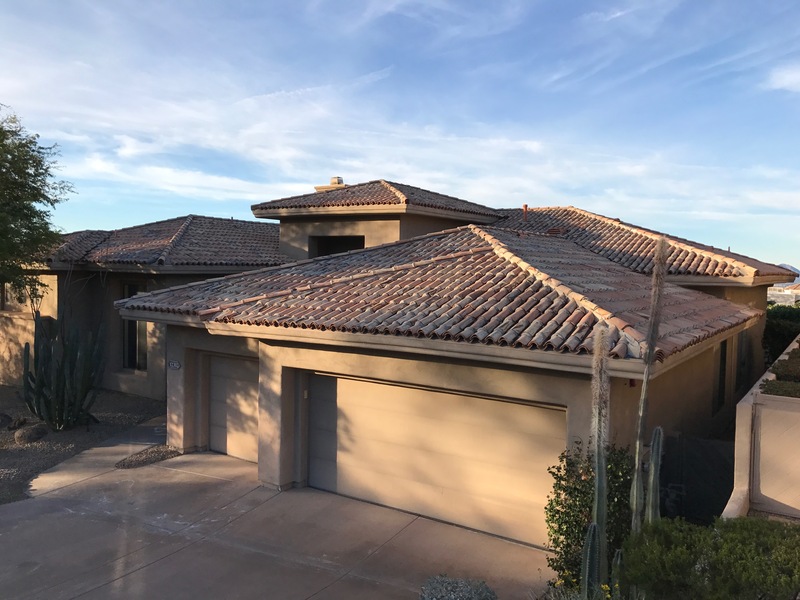 This roofing 85259 project started in 1999 with one layer underlayment and mud set Mexican Sand Cast tile. However after 18 years the Mexican Sand Cast had out lived its life cycle. Like many of the roofs in this 85259 area it pays to just replace old tile and the underlayment. Because our client selected a new Eagle color thru flat concrete tile with two layers Malarkey underlayment 20year manufactures warranty. They will be saving money for may years to come. Checkout our before and after pictures. 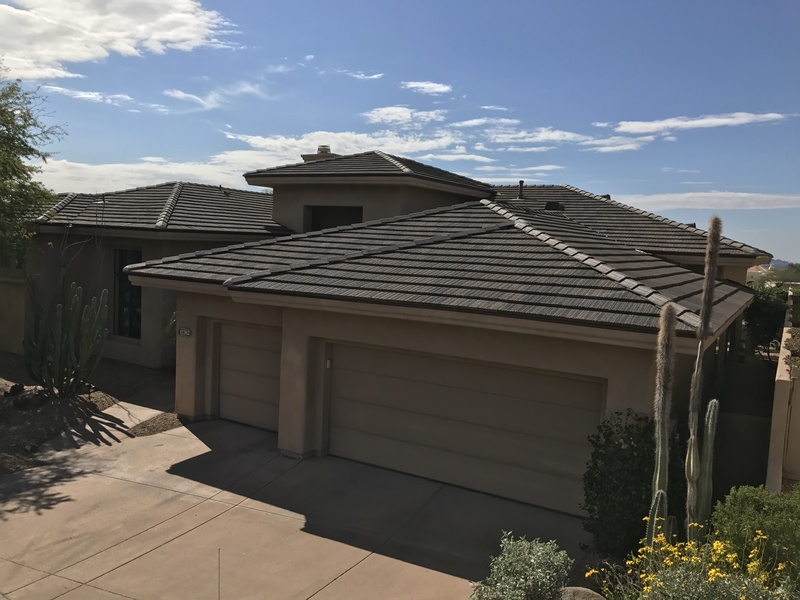 This roofing 85259 started as a new custom home in Ancala Country Club. Our client Randy Cousins selected our two coat foam and coating system. Because craftsmenship orientated installers take special care prior to the final coat to insure a full manufactures warranty, that is still inlace today. The hailstorm of 2011 damaged a lot of roofing 85259 projects. Our client selected our coating restoration with a full manufactures warranty and maintenance plan. Because this custom home has clear-story windows, we needed to go back a really inspect and seal the flashings around the windows. After a few more free yearly inspections, this roof will be ready another roof coating. Because we did so much work on the Hail Damage restoration. Our client will be saving money on the next re-coat. 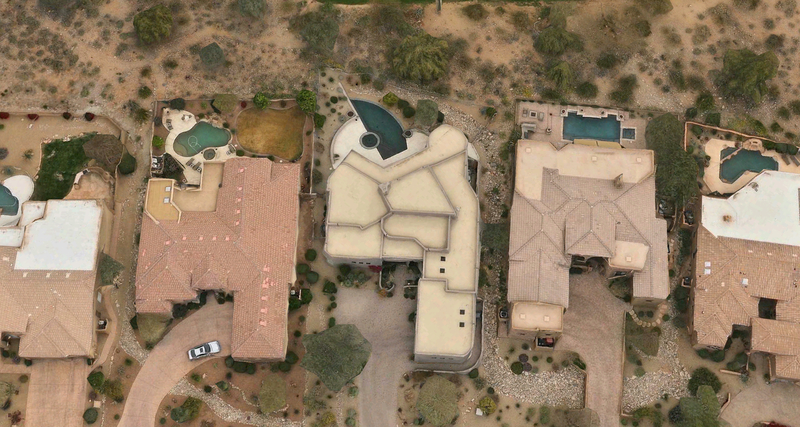 A Scottsdale Roofing Company listing some of our roofing 85259 projects. More so Triangle Roofing Company takes a proactive approach to roof maintenance. Our clients appreciate the values of investing in our maintenance and roof coatings. As a result our clients tell us they’re re-roofing less than even thus SAVING THEM MEGA MONEY. 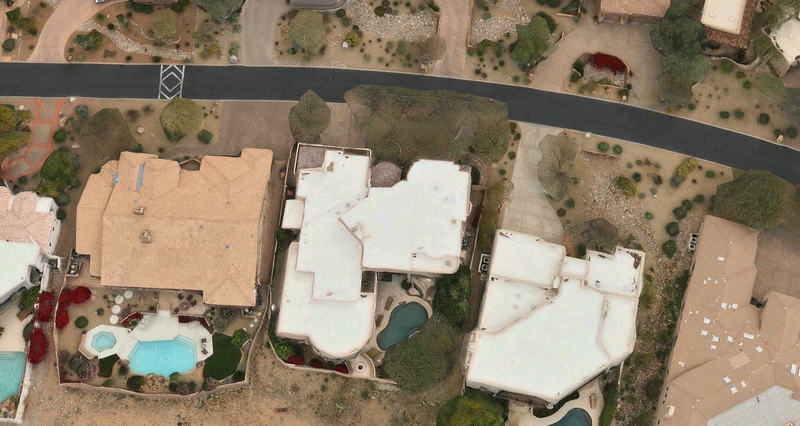 Because we have free yearly iInspections with photo reviews tailored to your individual roof’s needs. We will identify past, current and potential problems and come up with the most cost-effective solution. We personalized solutions to manage your roof “while setting you on course” to properly manage your roof and achieve every ounce of value. Being a 25+ year leader in the roof management industry. Triangle Roofing continually “Raises the Bar” of the utmost in quality craftsmanship, the “continuous pursuit of up-to-date product knowledge”. With an executive level of “Round-the-Clock” service and follow-thru with every client. Again whether a single home, a large custom or the biggest commercial building, SIZE DOES NOT MATTER, BUT YOUR REFERRAL DOES.